If you’re looking for a unique gift idea, why not consider an Iceworld™ gift voucher? An Iceworld™ gift voucher is the ideal present for a friend or family member. 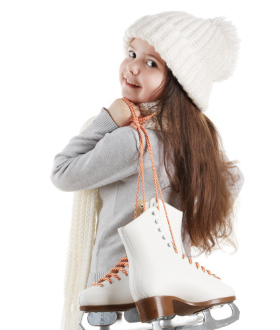 Whether you are buying for an ice skating expert or simply someone who likes experiencing new things, an Iceworld™ gift voucher will let your recipient discover a world of fun beneath their feet!! If you’re a regular skater, check out our chill-deals which give you even more ice skating for your $$$$ !! Skate hire Included with entry! At Iceworld™, we believe in rewarding our loyal customers, so we’ve introduced chill-deals which offer great value for money. If you’re a regular skater you can save up to $30 by purchasing the Iceworld™ Chill-deal 10 session pass for only $170. Visit the rink office and ask for the chill-deal of your choice and you’ll be presented with a chill-deal swipe card which will sit nicely in your wallet! 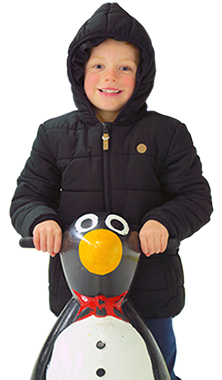 Simply bring your swipe card to each public session you attend, swipe once on entry and you’ll be handed a ticket for your skate hire (if you require skates) and then away you go!! So don’t delay, purchase your Iceworld™ chill-deal today!! Penguin HireJust $5 per penguin! Special rates and more deals! If our Chill Deals aren’t cheap enough for you, both rinks hold coffee skate sessions on Tuesday and Thursday mornings (excluding school holidays). At each session you’ll pay only $12 and get a hot drink included too! Still not tempted?! How about an Iceworld™ Family pass? Only $65 for 2 Adults and 2 children or 1 Adult and 3 children. Would you like to save some of your hard earned cash?! Well you can save your $$$ by coming along to an Iceworld ‘cheap skate’ night….